Being self-employed can seem like the ultimate dream for some. Not only do you get to work for yourself and be your own boss, but you also get to decide your working hours and keep track of your finances, marketing and clients. You may have a lot to cover and consider, however, the hard work needed to create a successful company creates more pros than cons. With that being said, though, you do need to realize that a lot of time, dedication and money needs to be invested. For example, if you wish to become an electrician, you need to ensure you’re qualified, trained and have the money to buy all your tools and equipment. You also need a clean reputation, otherwise you’ll struggle to find customers. There’s a lot of consider before registering as self-employed. You cannot dive in headfirst; instead, you need to be patient and deliberate all your options and whether it’s feasible. Here’s what you need to contemplate before going into business with yourself. Being self-employed at being your own boss can be quite profitable, however, you need to have the starting costs available. Of course, finance options are available, but getting into mountains of debt isn’t going to be worth it if you cannot properly afford to keep going or see much profit at the end of the year. You’ll have to consider costs for tools, equipment, a vehicle, possible office or store, fuel and advertising. If there’s the opportunity to save money, then take it. For example, if you’re a plumber, then used Mercedes commercial vehicles are more cost effective than a brand new, top of the range truck. Crunch the numbers beforehand, so you can avoid any costly mistakes. Your business must be in demand, otherwise people won’t be calling for your services very often. There needs to be potential for growth and profit before you start, and, ideally, the potential shouldn’t be short-lived. Avoid any fad businesses. Make sure yours is in there for the long run and try to establish yourself in the current market. For example, if you wish to open your own bakery where you outsource your baked goods to local cafes and restaurants, bake traditional cakes but also look for a creation which can become your signature bake. You don’t want to be a bakery that only sells bubble waffles because, one day, a newer and more interesting waffle will come along and shadow yours. You could be the most knowledgeable person in your industry and have the finances ready and waiting, however, you may not have the drive or ambition to be self-employed. Self-employment isn’t for everyone, and some people enjoy working at a company where they can climb the ranks without the stress of being the business owner. 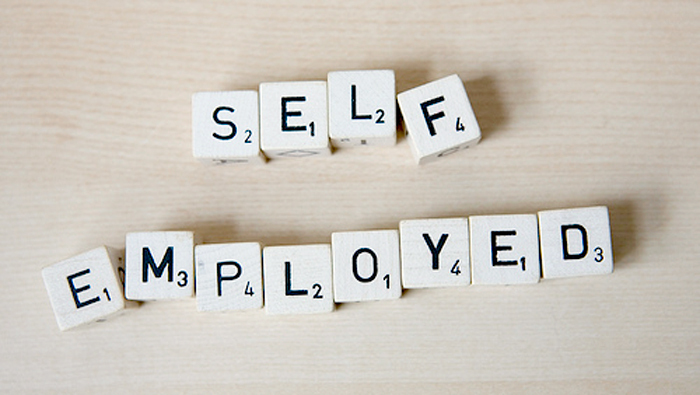 There are certain traits needed for those who wish to become self-employed. You need to be driven, ambitious, willing and dedicated. You need to wake up, go to work and have the determination to stay on track without faltering. If you’re going to be based at home, then ensure you have a home office with minimal distractions.